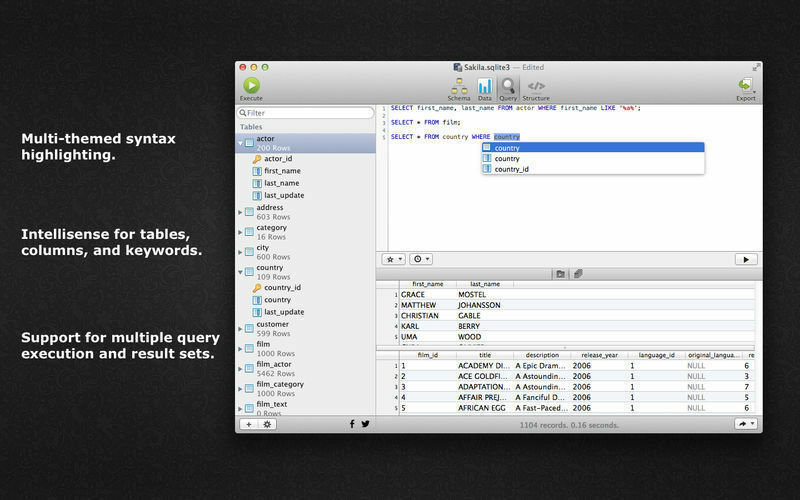 Database management app (was SQLite Professional Read-Only). Is there a better alternative to SQLPro for SQLite Lite? 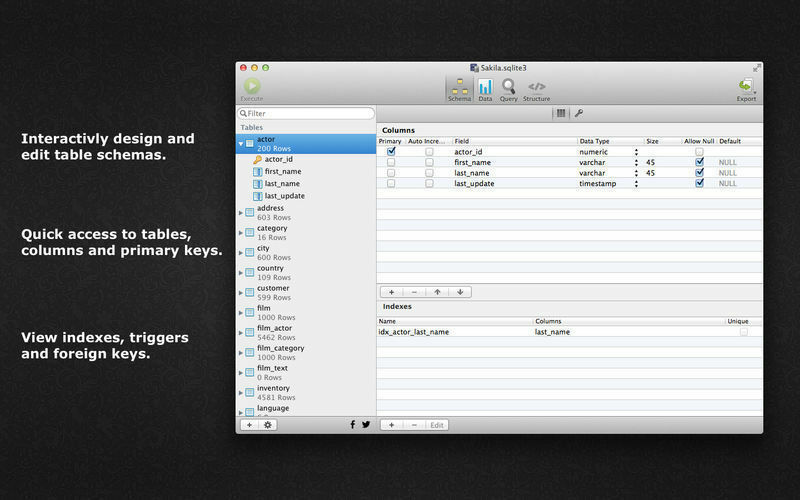 Is SQLPro for SQLite Lite really the best app in Developer Tools category? Will SQLPro for SQLite Lite work good on macOS 10.13.4? 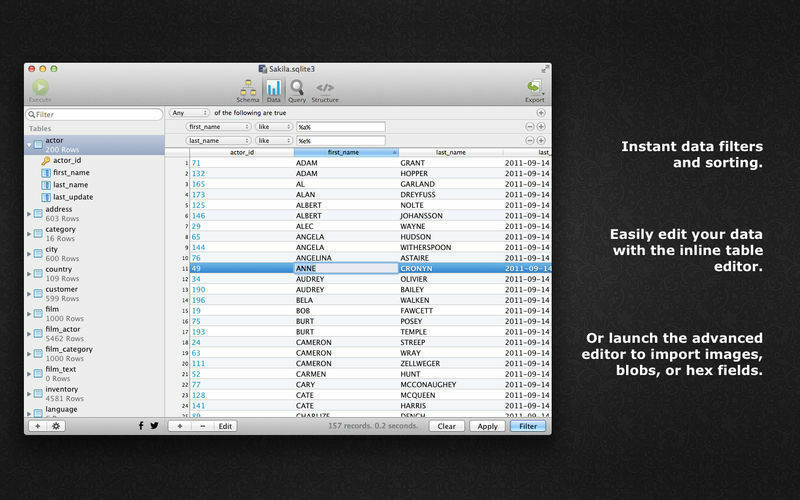 SQLPro for SQLite Lite (was SQLite Professional Read-Only) allows you to easily manage and edit databases. SQLPro for SQLite Lite needs a review. Be the first to review this app and get the discussion started!